Ambition Essential has 110 stitches, one-step buttonhole, 4 font styles including Cyrillic, LED lighting, free motion sewing, IDT system. 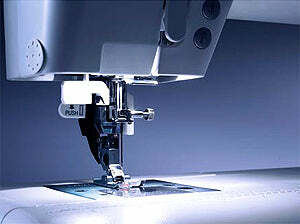 Pfaff Ambition Essential Sewing Machine. Fashion, accessories and decoration for your home – the ambition essential sewing machine does it all. The large sewing space and the long free-arm makesewing any size project effortless. The perfectly illuminated sewing area and the large high resolutiontouch screen will optimize your work process. 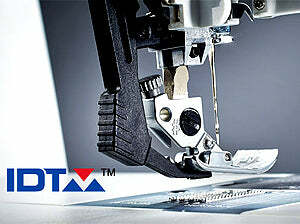 The original IDT System guarantees absolutely evenfabric feed from both the top and the bottom. Pfaff Ambition Essential Key Features. 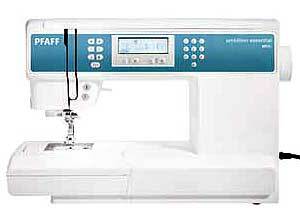 Pfaff Ambition Essential Included Accessories. The Pfaff Ambition Essential has a wide variety of 110 beautiful 7mm stitches, including utility stitches, buttonholes, decorative stitches, quilt stitches, cross stitches and hemstitches. 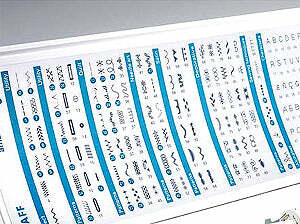 Choose from two different font styles: Block and Cyrillic letters.